"I watch patients face the challenges of coping with heart disease, facing their mortality – I see courage, hope and strength in their eyes. As a physician I am continually amazed by the inner strength of my patients. I am overwhelmed by the experience. It’s really what’s driven me to push myself to new heights and reflect on how precious life truly is." HELP US PREVENT HEART DISEASE AND SAVE LIVES! Your donation will help the Test Your Limits team raise funds in support of heart disease and heart failure research. 100% of your support will go directly towards making research in heart failure and transplantation possible. 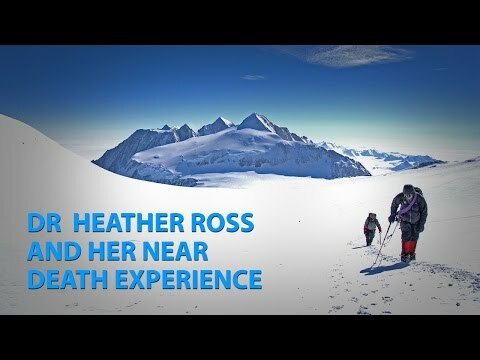 Read more about Dr. Heather Ross and Test Your Limits in the news. Test Your Limits is an initiative Dr. Heather Ross started in 2006 to raise awareness and support for heart failure research, cardiac transplantation and heart health. Accompanied by doctors and transplant patients, the team has climbed in Nepal, trekked in Bhutan and skied to the North and South Poles. And through it all, thanks to generous people like you, Test Your Limits has raised over $2 million. Dr. Ross believes that the inspiration from their expeditions is all from Dale Shippam. If a heart transplant recipient can complete the intense training and conquer these grueling treks to climb mountains and reach the Poles after surviving advanced stage heart failure, then anyone can do it. Dr. Ross’ mission and belief is simple: transplant is an amazing thing but there will never be enough hearts, neither mechanical or donated. We need to move upstream to where the issues start and get people moving, get active and live a healthy life. Dale Shippam is a firefighter and resident of Thunder Bay, Ontario. Dale knows first hand how important it is to test your limits and live your best life after receiving a heart transplant in February 1999. Dale has conquered every expedition the Test Your Limit Team has taken on. Dale has hope of finishing a major trek on every continent. After receiving a kidney transplant from my brother Barry in 1997, I have had the opportunity to compete in multiple national and world transplant games as well as four mountain expeditions around the world. This upcoming expedition to the Himalayas is another wonderful platform to promote organ and tissue donation while showcasing the potential of post-transplant health and ability. Perry Ross is a Fire Marshal at the Toronto General Hospital. Between working in the hospital and watching his grandfather go through a quadruple bypass in 2006, Perry has seen firsthand the importance of keeping your heart healthy. He hopes that the Test Your Limits trips inspire others old and young to get out and exercise to achieve their goals and dreams. This is Perry’s second trip with the Test Your Limits team; his first was to the Nahanni in 2015. As Perry says, "It’s so easy to sign your card to be a potential organ donor, you could save someone’s life…so why wouldn’t you do it!" Mike Walker, a lifelong athlete and exercise enthusiast, has what he calls a dream job. He’s an Exercise Physiologist in the Peter Munk Cardiac Centre and has been helping UHN heart patients reach their fitness goals since 1993. Mike describes it as an honour to work with a dedicated team of healthcare professionals in the Heart Failure Clinic at TGH. Swimming, biking, and running are my remedies to the stress of daily life. They are my hour or two of self-reflection and meditation. When your education and research surrounds you with case after case of heart failure, you can't take your cardiovascular system (what enables me to run, bike, or swim) for granted. There are many patients, not much older or younger, who have lost this capacity and are in need of advanced therapies. This trip is a means of advocating for them, for maintaining a healthy life, and for providing the gift of life. 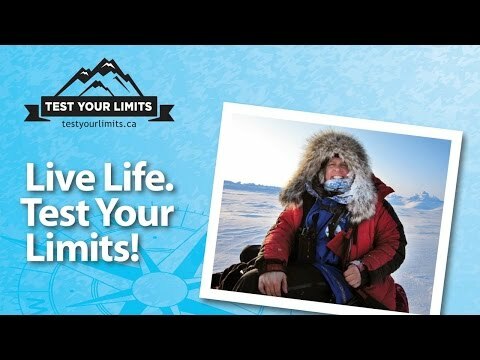 This is my first trip with the Test Your Limits team, although I'm certainly no stranger to its potential for inspiring. Dr. Heather Ross is a Professor of Medicine at the University of Toronto, and Director of the Cardiac Transplant Program at TGH and is the Head of the MSH/UHN Heart Failure Program. She is also the Ted Rogers and Family Chair in Heart Function. Dr. Ross is inspired everyday by her patients and has taken on the mission to raise awareness and support for advanced heart failure and transplant research through her Test Your Limits initiatives. Heart disease includes all the diseases of the heart and circulation. Canadians over the age of 20 have at least one risk factor for heart disease. Heart disease claims more lives than all forms of cancer combined. of the world’s deaths from heart disease occur in low- and middle-income countries. Heart failure is a type of heart disease that occurs when the heart is not able to pump enough blood to meet the needs of the body. With healthy lifestyle changes and new treatment options, patients can manage their condition very well. Canadians are living with heart failure. new cases of heart failure will be diagnosed in Canada this year. Heart failure is the most rapidly rising heart disease among Canadians. Looking for their next great challenge to help raise awareness about organ donation and support for heart disease research, in April 2017, Heather and the Test Your Limits team embarked on an epic 25-day cycling trip in the Tibetan Plateaus en route to the base camp of Mount Everest, the world’s highest peak. The Test Your Limits team tested their personal limits paddling through more than 300 kilometres of whitewater rapids on the Nahanni River in the Northwest Territories. A big river with powerful currents, boils and challenging whitewater, the Nahanni is an iconic world-renowned river. The Test Your Limits team travelled to Bhutan in South Asia in September 2014 to conquer one of the world’s most challenging trails, the Snowman trek. The trek involved travelling to the Eastern Himalayas, adapting to the culture, weather, terrain and punishing elements en route to climbing mountain passes with ranges of more than 17,000 feet, some 5,000 metres above sea level. In January 2013 the Test Your Limits team battled –60º Celsius temperatures en route to the South Pole. The group members endured grueling conditions to pull their sleds over the ice containing their food, their tents and other equipment. In what is believed to be a world-first, a heart transplant patient along with his transplant doctor skied over 150 kilometres, over ice, snow drifts, across open water, through gale-force winds and freezing temperatures to make it to the North Pole in April 2010. Along with three other adventurous team members, it took 11 days to reach the northernmost point of the globe. In 2008, the Test Your Limits team headed to Nepal to climb the 6,200-metre-high Mera Peak. Mera Peak is the highest trekking peak in Nepal. It is situated on the edge of the famous Khumbu Region, in close proximity to Mount Everest. 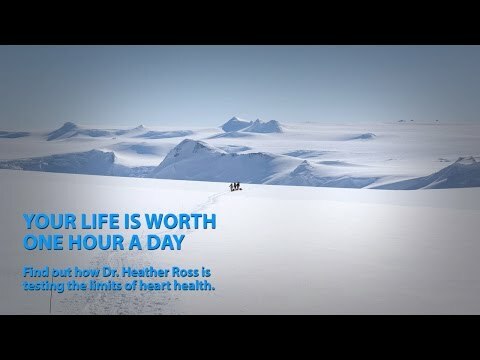 Dr. Heather Ross put her passion into practice in 2006, when she and a small team - including one of her heart patients - set a goal, trained for months, then followed through by trekking to Vinson Massif, Antarctica's highest peak. Every year in April, 35,000 runners crowd the streets of Paris in the annual Paris International Marathon. Farid Foroutan, a heart failure researcher, and Jeremy Kobulnik, a heart failure clinician, are training and running together with a goal to complete this year’s marathon in under 3 hour and 30 minutes. Together, they are on a mission to raise funds and awareness in support of heart disease and heart failure research, and to inspire their patients to test their limits! I am an assistant professor of medicine at the University of Toronto and staff cardiologist at Sinai Health System and the Peter Munk Cardiac Centre. My patients know that I passionately advocate for them to increase their physical activity as part of living a heart healthy lifestyle; this can be quite challenging and intimidating. Many of them know that I enjoy running, but they don’t know that I find it challenging to run in the cold and early in the morning, and I have never completed a marathon. As a tribute to the challenges my patients face and to raise awareness for heart failure, Farid and I have decided to run the Paris marathon which starts at 8:30AM (or 2:30AM Toronto time) and takes place the weekend prior to presenting heart failure research at the international heart transplant conference in France. The training requires running 80-90Km/week for 18 weeks, rain, freezing rain, snow, freezing temperatures or shine! I am a heart failure researcher with the advanced heart failure, cardiac transplant and mechanical circulatory support program at the Peter Munk Cardiac Centre. Observing the extreme ends of health and disease in complex patients managed at the Peter Munk Cardiac Centre is my motivation for dedicating time and effort for discoveries supporting evidence-based medicine. I am an advocate for organ donation and transplantation Swimming, biking, and running are my remedies to the stress of daily life. They are my hour or two of self-reflection and meditation. This is my second mission as part of the Test Your Limits team, although I'm certainly no stranger to its potential for inspiring!